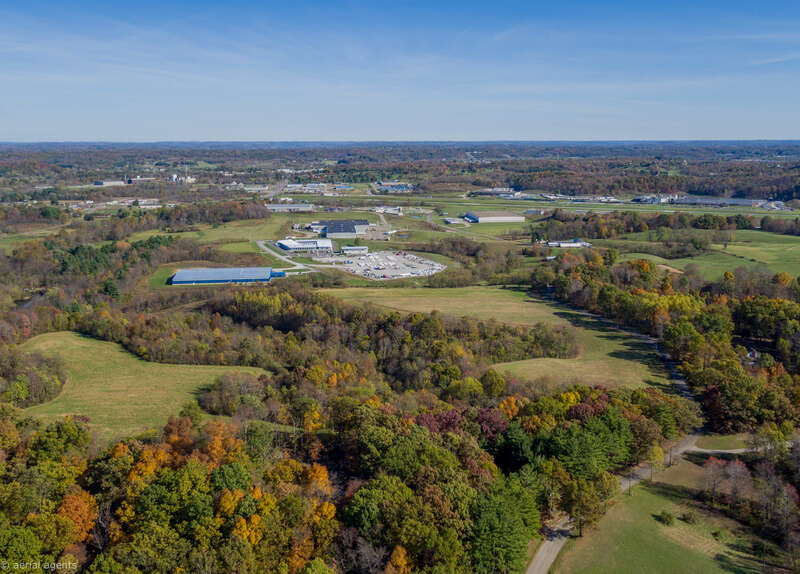 Located just three miles from the I-77 and I-70 interchange, the D.O. Hall Business Center offers exceptional access with convenient north-south and east-west travel to eastern US and Canadian markets. 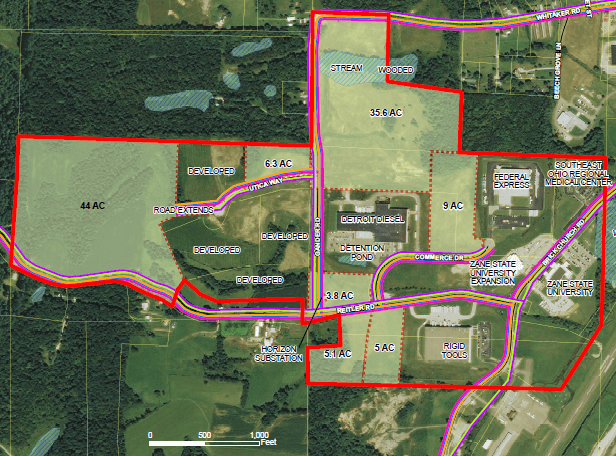 Several parcels totaling 105 acres are available for development here with plenty of excess water and sewer capacity. 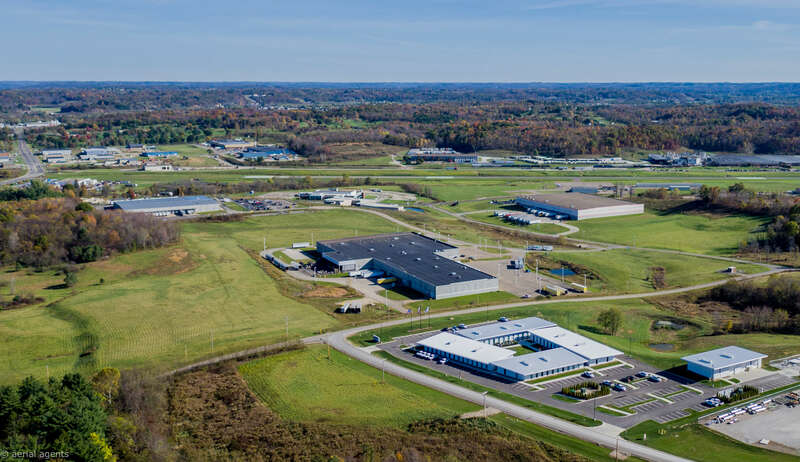 This site is approved as Foreign Trade Zone in affiliation with the Rickenbacker Port Authority. This park is adjacent to the Cambridge Municipal Airport. Topography for the D.O. Hall Business Center is fairly sloped west to east towards SR 660. 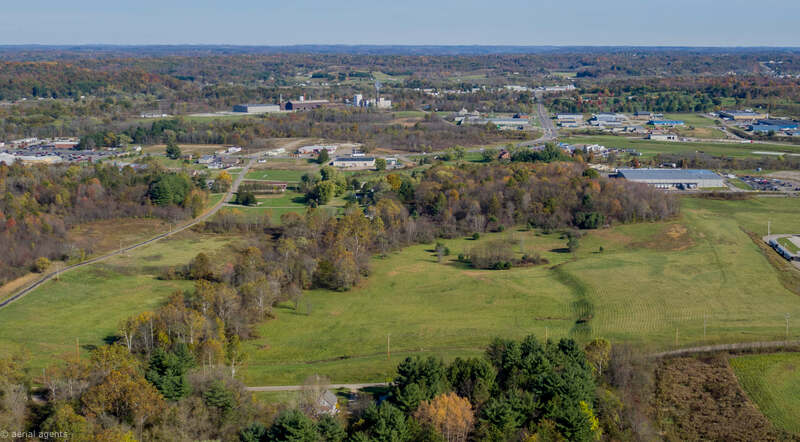 The sites available for development are mostly gently rolling and ready for development. Elevations for the entirety of the site range from 800 to 950 feet above sea level. According to the USDA NRCS, there are 14 soil types mapped for the site. The two dominant soil types shown are Bethesda clay loam, 0 to 8% slopes (BgB – 59.8 acres, 25.7% of the site) and Bethesda clay loam, 8 to 25% slopes (BgD – 50.6 acres, 21.7% of the site). According to the FEMA FIRMs 39059C0280D, 39059C0277D, and 39121C0025C, the northern portion of the property is located in Zone A along the stream. Zone A is defined as areas with a 1% annual chance of flooding and a 26% chance of flooding over the life of a 30‐year mortgage. Because detailed analyses are not performed for such areas; no depths or base flood elevations are shown within these zones. The far eastern portion of the site is defines as Zone X with 0.2% chance of annual flood and defined by FEMA as areas of moderate flood hazard, usually the area between the limits of the 100‐ year and 500‐year floods. B Zones are also used to designate base floodplains of lesser hazards, such as areas protected by levees from 100- year flood, or shallow flooding areas with average depths of less than one foot or drainage areas less than 1 square mile. The remainder of the site is located within Zone X. Zone X is determined to be outside the 0.2% chance flood plain. The USFWS NWI map for the D.O. Hall Business Center shows two wetlands located near the central portion of the site. These wetlands are labeled as PFO1/EM1C, a Freshwater Forested/Shrub Wetland (Palustrine, Forested, Broad-Leaved Deciduous/Palustrine, Emergent, Persistent, Seasonally Flooded) measuring 4.88-acres in size and PUBKh, a Freshwater Pond (Palustrine, Unconsolidated Bottom, Artificially Flooded, Diked/Impounded) measuring 0.40-acres in size. 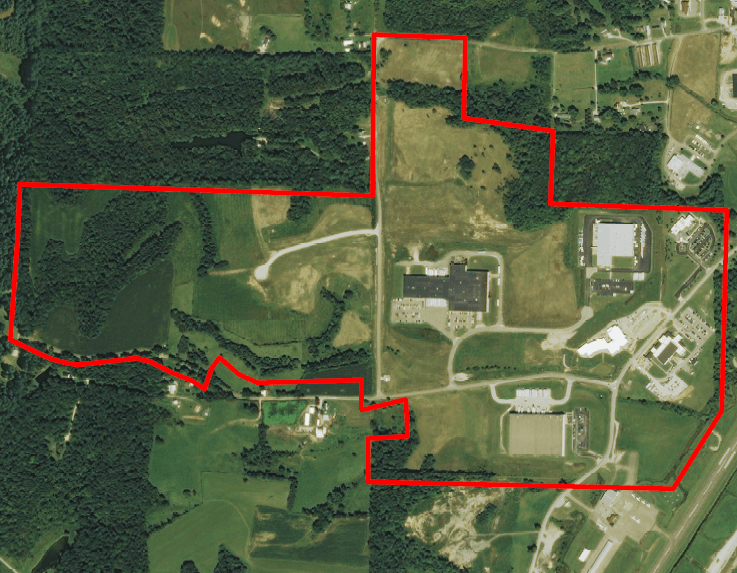 The primary vehicular access to the site is from SR 660 (Brick Church Road), Reitler Road and Gander Road. All of these access points are easily accessible. All access roads are two-lane roads and there is good visibility for motorists turning into or out of each available parcel. This site is located 1.7 miles south Interstate 70 and 4 miles east of Interstate 77. There are no direct rail lines available to the site. 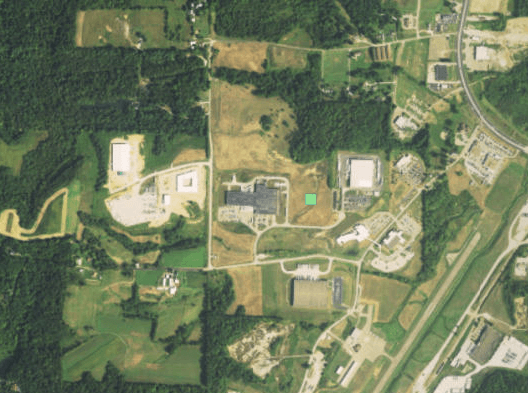 Genesee & Wyoming Inc. & Ohio Central Railroad is located 1.5 miles from the site. 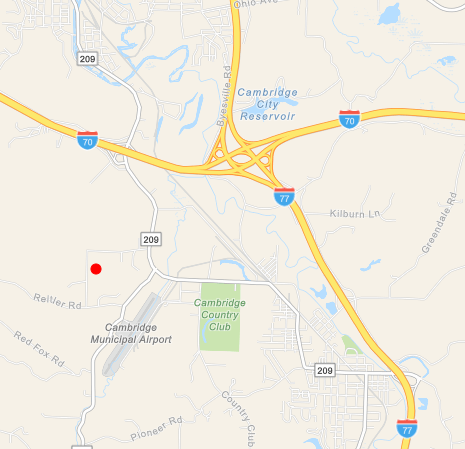 The Cambridge Municipal Airport is located immediately southeast of the site. The John Glenn Columbus International Airport is located 80 miles west of the site. Natural Gas is provided to the available parcels by Columbia Gas. The capacity for each site is 50 to 60 MCF. The gas lines run along each road within the D.O. Hall Business Center. Electric service is provided to the available parcels by AEP Ohio. Each site has the capacity for up to 6 MW. Service runs along the roadways throughout the D.O. Hall Business Center. Potable water service is provided to the available parcels by the City of Cambridge. Capacity for each site is approximately 2 million gallons per day. Water service is available in 12 inch lines and run along the roadways within the D.O. Hall Business Center. Wastewater and sewer lines within D.O. Hall Business Center run in 8 inch lines and are located along the roadways and are available to each site from the City of Cambridge. The capacity available is approximately 1 million gallons per day. Telecommunication and fiber optic services are provided by Frontier. Both services are available for each site offered. Service lines for these amenities run along the roadways within the D.O. Hall Business Center.